I’ve been asked a lot about when exactly the milky way is visible. 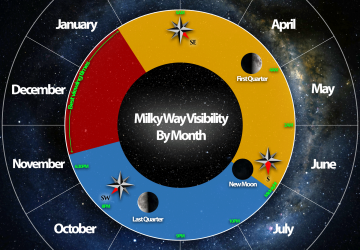 So I made this infographic to illustrate the progression of milky way season throughout the year. It is based on a latitude of 40° North. From locations further south the dates and times don’t vary significantly. Although the further south you are, the higher the galactic core will rise in the sky. 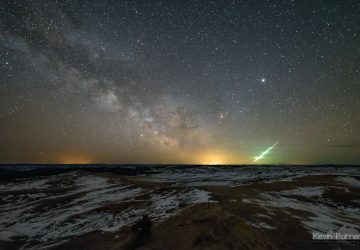 No matter where you are in the world, the milky way goes behind the sun in December and the surrounding weeks so it will not be visible at that time. 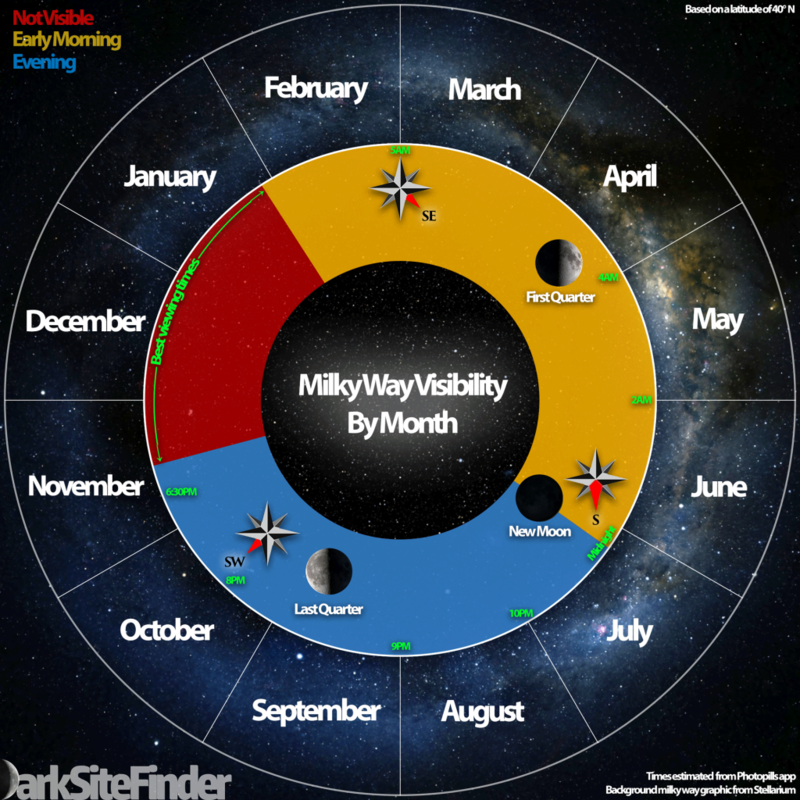 From locations farther north the season varies because nights are much shorter in mid-summer. Below is the same infographic but based on a latitude of 50° North. 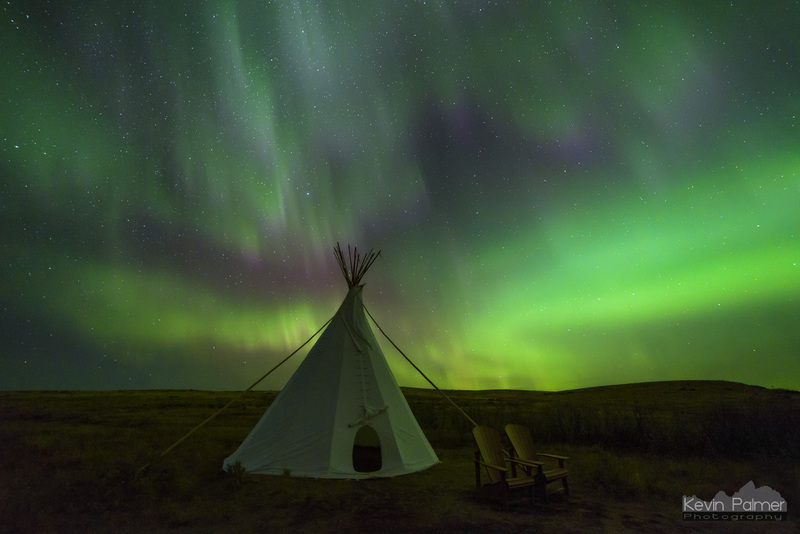 This far north there are essentially two milky way seasons, interrupted by the weeks around the summer solstice in which the sky never gets dark enough. If you go much farther north then short nights become even more of a problem, and the core of the milky way won’t make it above the horizon at all. 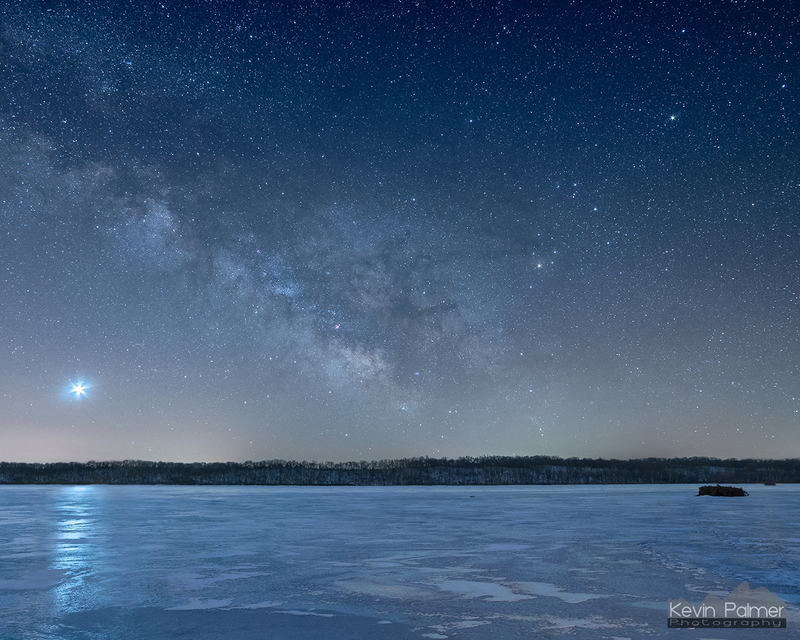 Milky way season starts in February for the most part. But to see it this early it requires perfect conditions. A clean southern horizon, very dark skies, and a clear atmosphere are all necessary. But it becomes easier further into the spring as the milky way rises a little higher each night. From the start of the season until early May, the milky way will be at it’s highest point just before astronomical twilight begins and the night comes to an end. So light from the coming sunrise is the limiting factor. 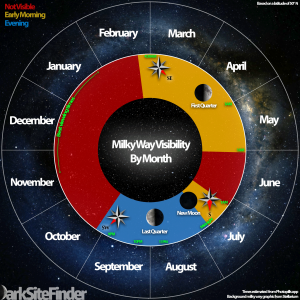 But starting in June, the milky way reaches it’s best visibility earlier in the night. When the galaxy first rises in the southeast, the central band is nearly parallel to the horizon, before the angle increases to 45°, and then higher relative to the horizon. 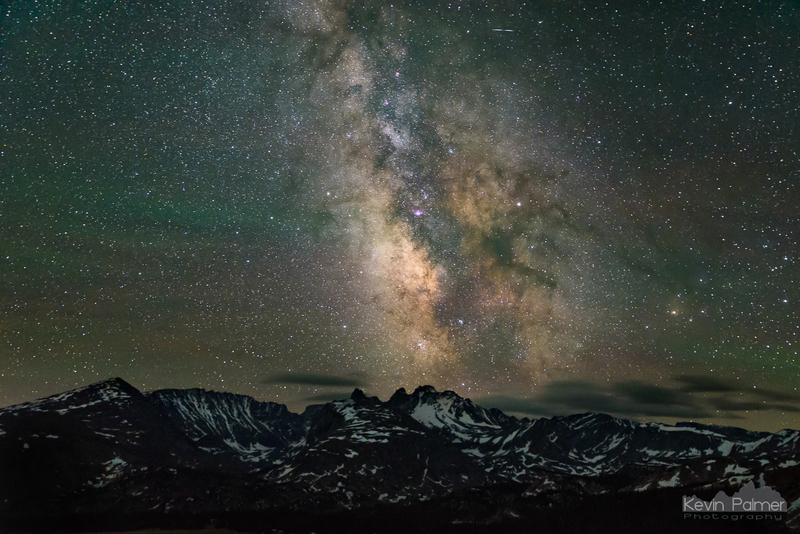 It is possible to watch the milky way rise from the months of February through June. From July onward, the galaxy can no longer be watched rising above the horizon. Instead, it will already be up by the time the sky gets dark enough. It will reach it’s highest point around midnight in the southern sky. 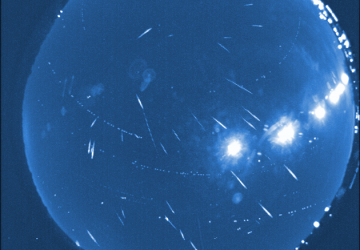 But the hours before and after midnight will allow for great viewing as well. 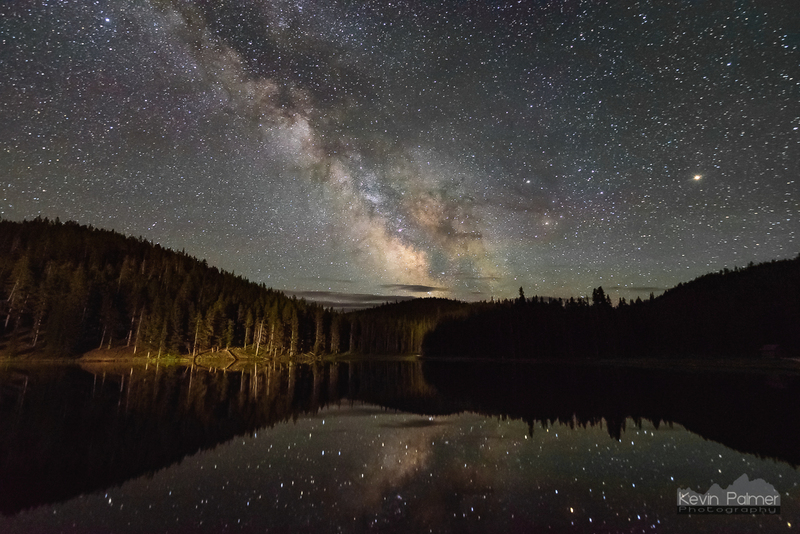 As long as your nights are long enough, summer is the best time of year overall for seeing the milky way. Not to mention that the summer months often bring the most favorable weather. 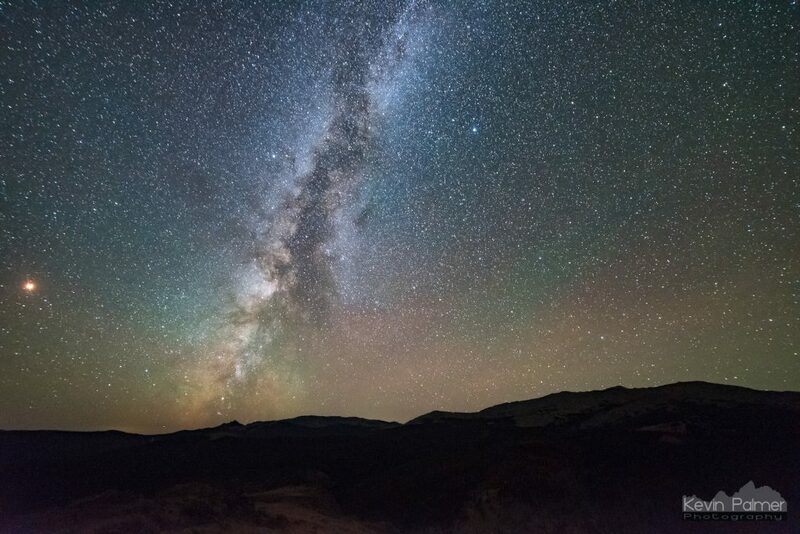 Shortly after the Sagittarius region reaches it’s highest point, the central band of the milky way will stand on it’s end perpendicular to the horizon at 90°. Starting in early-mid August, the milky way will no longer be at it’s highest point when astronomical twilight ends and the night begins. The lingering light from sunset will be the limiting factor. It will get slightly lower every night. When it sets in the southwest, the central band of the milky way will be about 120° relative to the horizon. This angle means it tends to set below the horizon faster than it rises. The second half of milky way season is shorter than the first half. Just like the very beginning of the season, to see it at the very end requires perfect conditions. 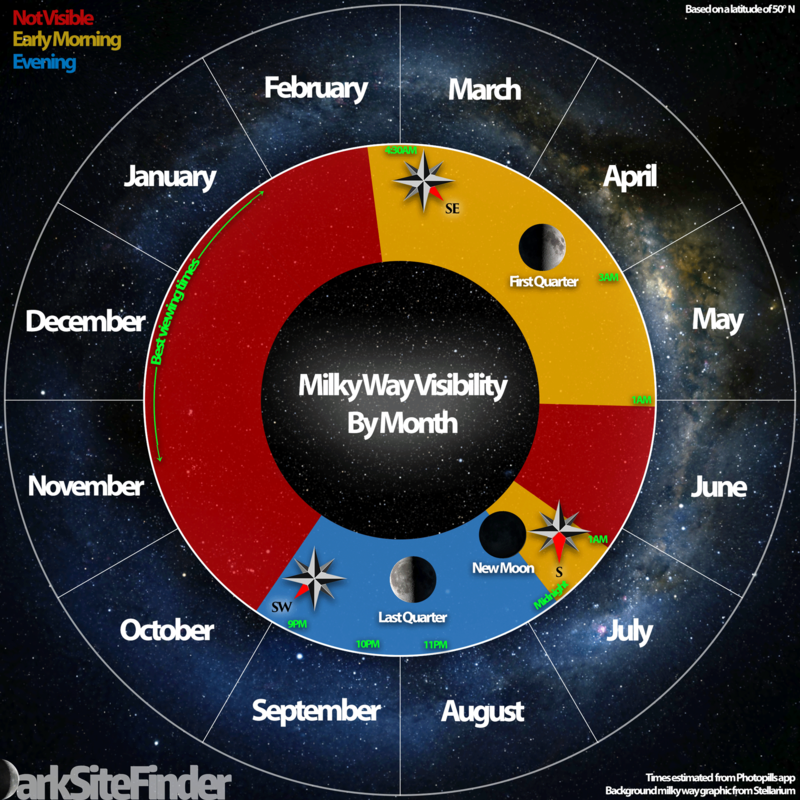 A clean southern horizon, very dark skies, and a clear atmosphere are all necessary to see the milky way in November. About half the time the milky way is actually up at night, it will not be easy to see because the moon is too bright and washes it out. A full moon should always be avoided. And a new moon will always be the best time for viewing because it leaves the sky dark for the entire night. But in the spring, a first quarter moon is workable as well. Coming 7 days after a new moon, the first quarter moon will set around midnight, which leaves the early morning skies dark. In the late summer and fall, a last quarter (aka 3rd quarter) moon is preferable. A last quarter moon comes 7 days before a new moon, and rises around midnight, which leaves the evening hours dark. During the summer months, it’s more important to view during a new (or slim crescent) moon because the nights are much shorter. As mentioned above, the times shown are based on a latitude of 40° north (Denver specifically). The times can be used as a rough estimate, but they can vary based on your latitude and whether you are located in the middle or edge of a time zone. Daylight Saving Time also affects the times that are shown on the infographic. Astronomical twilight marks the boundary between night and day. The lingering light from the sun may be too dim to see, but it shows up in pictures and can diminish the view of the milky way. In general astronomical twilight begins about 90 minutes before sunrise, and ends 90 minutes after sunset around spring and fall equinox. But during the summer or winter solstice, twilight can last over 2 hours depending on your latitude. 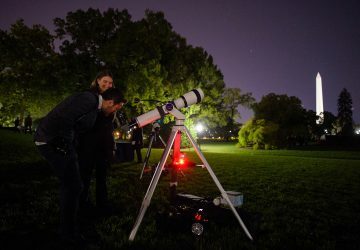 To find the exact astronomical twilight times, as well as moonrise and moonset information for your location, there are several sources listed below. Hopefully you found this information useful. Now that you know when to see the milky way, find a dark site, and get out there and see it for yourself!